Looking for the best services for pest control Stapylton? Fast Pest Control is the place you need to be. We have a team of experts working in the field for more than a decade, fighting with all types of pests. Whether you have crawling pest infestation or flying pest infestation, we can handle it all. Call now for the same day pest inspection! Why Fast Pest Control Stapylton? Welcome to Fast Pest Control Stapylton – your local pest control experts. We deliver exceptional pest eradication services to protect your homes in an innovative and safe manner across all the suburbs of Stapylton We use effective and advanced pest control methods to create secure and comfortable environments for your homes and offices. Our modus operandi for removing pests ensures that your life gets freed from all kinds of unwanted pests and termites. We at Fast Pest Control do not believe in burning the hole in our customers’ pocket. Moreover, unlike other pest control firms in Stapylton, we do not sacrifice on the quality of our pest control methods even after serving you on the reasonable prices. We use high-quality chemicals in our pest control treatments that do not cause any harm to your family and pets. Also, we revisit our place after a certain period of time to check if the services provided are effective or not. Our professionals also give free pest control advice and treatments to our clients. Call us for the free quotes today. Fast Pest Control Stapylton provides affordable residential pest control services in all suburbs of Stapylton. When you sell or buy a home, it is good to check for pests first. Most importantly, it is essential to get a termite inspection done. And we do it with one simple call! 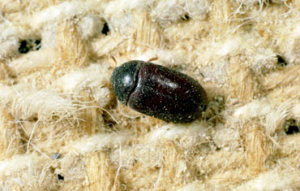 At Fast Pest Stapylton, we have solution for each of the above pests..
One of the most common and yet the most dangerous crawling pests found in Stapylton homes is cockroach. They contaminant surfaces and food through the disease-causing organisms that they carry. 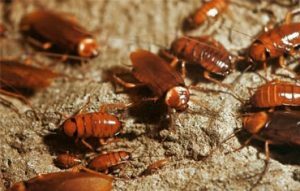 Cockroaches are also found in healthcare facilities, restaurants, and other food related properties. We at Fast Pest Control understand that rodent infestation in the home can be a dangerous situation. Your health and things and property are at stake. Thus, we offer effective services for rodent control Stapylton. Fast Pest Control also offers pre-purchase pest inspection in Stapylton at the most affordable prices. Pre-purchase pest inspection is the right way to make sure you are going to invest in the right property. This is one of the best aspects to consider while purchasing a house. The professional pest controllers we own are highly trained and experienced and know the best ways to bring you the best and satisfactory results. 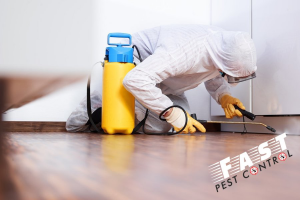 When you hire us for pest inspection services, we come fully prepared and if we find the pest infestation while inspection, we can also treat them on your demand. So, do not go any buying any property without complete investigation and inspection. Our huge range of pest control Stapylton services also includes restaurant pest control. Being a restaurant owner, your customer’s health must be your top priority. Also, having regular pest control at your restaurant saves you from humiliation. As if any of your happy customers spot the pest wandering around the premises, then it can lead to a loss in your business as well reputation. Neither those customers will again return nor they will suggest your restaurant as a good place to eat. So, what are you still waiting for? Pick up your phone and call us for your pest control needs in Stapylton. The professional team of our pest controllers is highly proactive and offer an array of pest control services in Stapylton across all the suburbs including all the metro and remote areas. We reach your place the best time given by given by you. You only have to let us know about the type of pest and density of pest infestation in the house and we will come to your place with all the preparations. A few of the many service areas in Stapylton include Caboolture, Blantyre, Toorbul, Milora, Ipswich, Toowoomba, Gold Coast, Caloundra, Sandgate, North Lakes, Sunshine Coast, Bellbird Park, Wellington Point, Northgate, Lamington and hundreds of other areas. Why let pests spoil your life when you can easily get rid of them by hiring the pest eradication experts? Call Fast Pest Control Stapylton today and say bye to pests from your homes and offices forever.